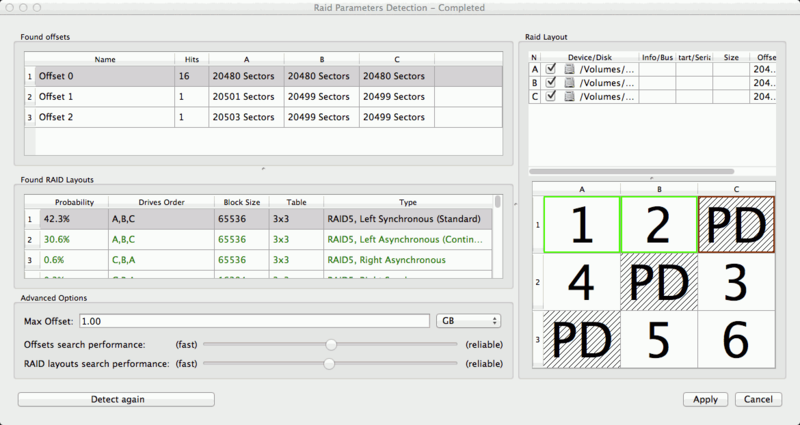 R-Studio can find parameters for RAID 5 and 6. RAID parameters can be found automatically or manually. The number of disks in the RAID should be between 3 and 32. RAID parameters can be found only when all original disks (or their images) are present. Even one substitute object in a RAID (like a missing disk) makes finding RAID parameters impossible. 2 Click the Apply button and R-Studio will change the RAID layout to the selected one on the Parents tab. > R-Studio will use the found parameters for the RAID. 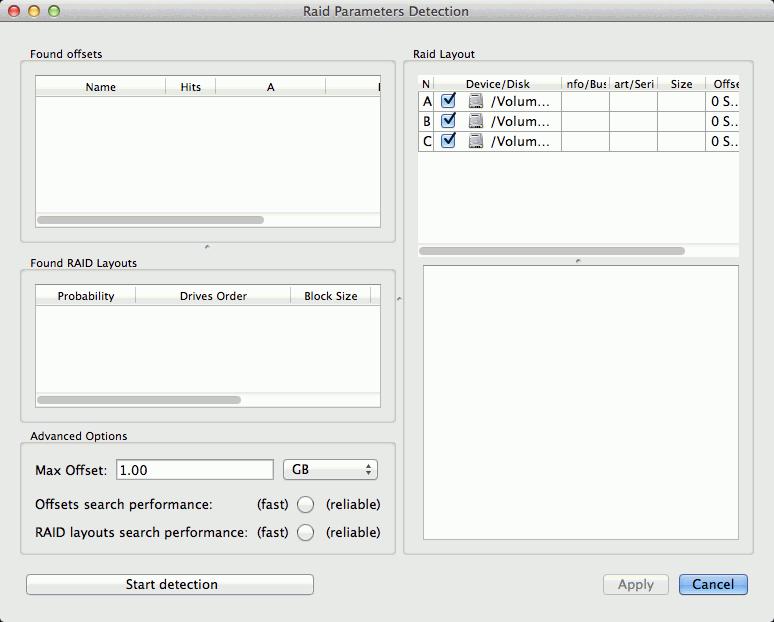 If necessary, you may return to the RAID Parameter Detection dialog box by clicking the Choose Variants button, and select another RAID layout. 1 Click the drop-down Auto Detect list on the Parents tab and select Advanced Detection . You may change the disk order, offset for disk(s), and enable /disable disks. 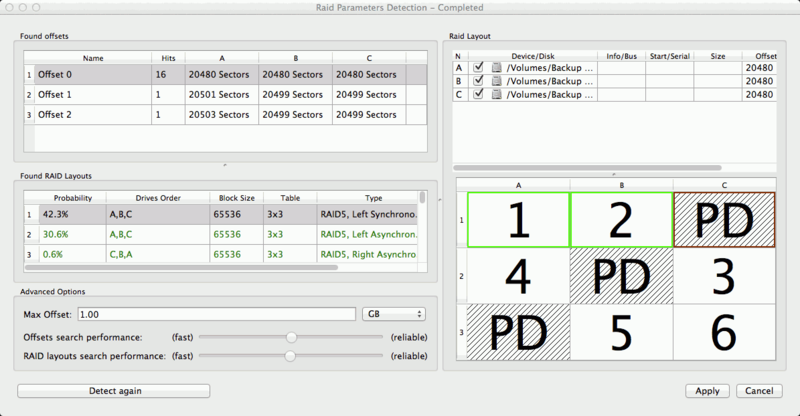 The area on the disk to find RAID parameters in. Cumulative parameters that estimates the probability of certain found RAID parameters. Moving it to the right increases accuracy but slows the process. Moving it to the left reduces the accuracy but makes the process faster. You may add your own RAID offsets. Control-click empty space on the Found offsets pane and select Add Custom offset on the contextual menu and specify the offset individually for every disk.